Contemporary furniture is a style that can be hard to define and is often considered the same thing as modern furniture. While there is a definite distinction between the two styles, it is understandable how contemporary furniture can be confused with modern furniture. Contemporary style can be defined as "following the latest trends or current ideas." 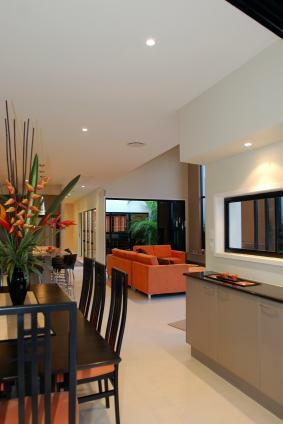 In this sense, contemporary style is modern because modern means current or present. However, what was current 20 years ago is not the same as what is current now. So contemporary furniture of the early 1990s will be different than contemporary furniture designed in the 1950s or what would be considered contemporary furniture design in 2012. While contemporary and modern furniture share similar features, the two styles originated differently, yet around the same time. 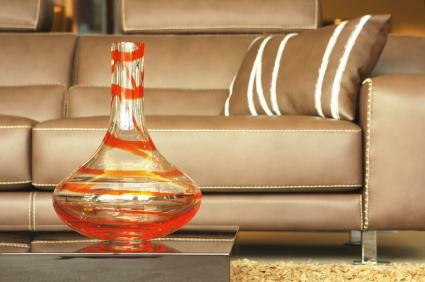 Shiny surfaces are common in contemporary style furniture. All traditional furniture styles are reproductions of period furniture and can clearly be identified by defined lines, curves and distinctive ornamentation. Contemporary furniture is inspired by traditional styles yet is not a direct representation of any one style. Contemporary designs are modified and adapted to make the piece more functional than decorative. Any distinctive line or ornamentation characteristic of period furniture has been simplified or diminished to the point where the furniture is unrecognizable in any traditional design sense. Contemporary styles can be grouped together by time periods in the 20th century, such as 1930's contemporary or 1970's contemporary. Modern furniture first became a style in the 1920's. This was the start of the Modernism Movement, inspired by Art Deco style designs with geometric angles, sharp lines and shiny metal surfaces, as the current technology of that era was reflected in these characteristics. Modern furniture was and still is designed on the principle that form follows function. The shape of modern furniture is determined by the intended use. Present day materials are used to create sleek, clean lines and can be molded into any kind of shape. The difference between these two styles is that modern furniture comes from an entirely new design concept where contemporary styles are modified from past traditional styles to become more modern-like. Contemporary furniture can be casual, warm and welcoming. Contemporary furniture is not hard to find because it is one of the most common styles of furniture sold in North America. Many furniture manufacturers use the term "contemporary furniture" to vaguely describe any type of non-traditional furniture. Many retailers will sell a mix of traditional and contemporary furniture. You can tell the difference by the clean, straight lines, lack of ornamentation, modern materials and shiny, sleek surfaces of contemporary furniture. 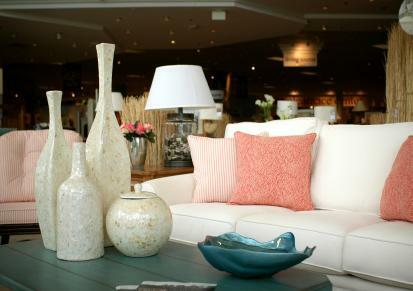 Z Gallerie- This family owned, California based company has 56 locations around the US. Here you will find unique designer furniture that is very trendy and ultra-chic. West Elm- It's easy to see the traditional influences in this upscale contemporary furniture. Tufted backs and angled wood legs on chairs and sofas are combined with lush fabrics. Sleek yet simple dining furniture can be dressed up with formal lighting and tableware. Coveted Home- This boutique-style store was founded by designer Jaclyn Joslyn, who offers a hand-picked collection of furniture and accessories as well as consulting and design services. Raymour & Flanigan Furniture- This store has a mix of traditional and contemporary furniture that is both casual and affordable. Jordan's- This Boston-based furniture store also has a mix of traditional and contemporary furniture that will help create a warm and welcoming atmosphere in your home. Furniture Row- This site features four different furniture companies in one place, Sofa Mart, Oak Express, Bedroom Expressions and Denver Mattress Company. You will find more contemporary style furniture here, with a few traditional styles mixed in. Contemporary furniture can also be formal. Contemporary furniture can be either formal or casual, depending on the upholstery materials selected as well as the accessories displayed in the room. Popular upholstery choices for contemporary rooms include leather, cotton, canvas, and linen. The colors of modern fabric and leather upholstery tend to be in neutral tones or bolder colors like red, yellow, or blue. However, a lot of contemporary furniture pieces can be found in black or espresso finishes. Contemporary beds can be low to the ground and sometimes feature attached shelves for use as night stands. Other styles have storage drawers built-in underneath the bed. Platform beds are common, where the bed frame is designed as a solid platform or with short support legs. Often times there is either no headboard or a very low profile version made of wood or upholstered with fabric or leather. Contemporary dining room furniture is often made of metal, wood, acrylic, or glass materials. One innovation worth checking out is the extendable dining table which has the flexibility of changing to different size configurations without the need for removable leaves. Modern dining chairs are very simple in design with straight or slightly curving backs. Common color palettes for contemporary dining sets are wood stains, silver metallic, and black leather. When you shop for contemporary furniture today, you may notice the higher priced, formal furniture styles tend to be more modern, while less expensive, casual contemporary furniture is often sold along with traditional styles. It goes to show that contemporary furniture is inspired from traditional styles, yet it seems to be heading toward a more modern future.